Which of the Beaches All Inclusive Family Resorts is Right for You? 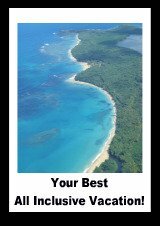 Beaches Jamaica has three all inclusive family resorts that get high reviews. Each has it's own merits, depending on your budget. 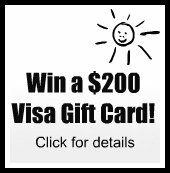 You don’t need special Beaches travel agents to book your Beaches Jamaica all inclusive vacation package – in fact the cheapest way to book your Beaches vacation is online. The majority of travelers recommend all three Beaches Jamaica Resorts as all inclusive family beach resorts. See more great all inclusive family vacations here. 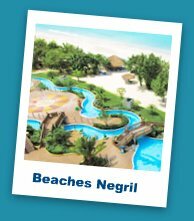 Beaches Negril was the favorite Beaches resort in Jamaica - it ranked 20th of all the all inclusive Jamaica vacation packages. 78% of travelers recommend staying there and 73% of travelers rank it as a very good or excellent resort. Right now with this link you can get 1 night free PLUS save up to 55% and receive a $150 Red Lane Spa Credit by booking the Negril Beaches Resort & Spa directly on the Beaches website. Beaches Boscobel was ranked 23rd of all the all inclusive Jamaica vacation packages. 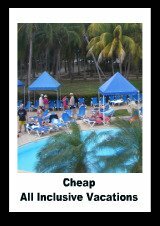 For the cost Beaches Boscobel would not be a favoured pick for our top ten all inclusive family beach resorts list. It is currently closed for renovations. Beaches Sandy Bay didn't make the top 30 of the all inclusive Jamaica vacation packages but 75% of previous guests recommended it. It's a four star at a pretty hefty price tag though. You can get 1 night free and save up to 55% though by booking here. Check out the details of the best rated Beaches Jamaica Resort - Beaches Negril - in the summary below. Ninety minutes from the Montego Bay Airport. It has many kid friendly activities and food making it a favourite of the Jamaica all inclusive family beach resorts. It's also on one of the most famous Jamaica beaches - Negril's gorgeous 7 mile beach. 20 acres of grounds on beautiful 7 mile beach. 6 restaurants and 5 bars serving premium drinks The Mill casual Jamaican; The Seville Italian; Kimonos Asian; Last Chance Saloon beach grill by day, southwest by night; open air pizza bar; and a beach grill. Three pools 2 with swim-up bars. Family friendly activities: XBOX game garage, teen-only nightspot, Waterpark with lazy river and water slides with lifeguards, supervised kids camp, and a Sesame Street parade. Water activities including canoing, kayaking, windsurfing, hydrobikes, sailing, scuba-diving, banana boating. Other activities including fitness center (limited), tennis, shuffleboard, billiards, table tennis, and croquet. If this is the resort for you, with this link you can save 55%, get a free night AND a $150 spa credit by booking directly on the Beaches website. One of the best Jamaica beaches with gorgeous long white sand beach and crystal clear water. Lots of beach chairs and shade. The lazy river and water slides. Kimonos restaurant where the chefs cook at your table (another kid favourite!). The option to eat at Beaches Sandy Bay (with shuttle service). The all inclusive destination wedding service is great and the beach is beautiful to get married on. Noise at night from the resort next door. Slow service at the beach grill. Internet access is $40 per week. Diving is okay but not the best (a plus is that it's included in your all inclusive package. Tipping goes a long way for great service which can make your vacation much more pleasant – USD are the best for tipping. It's worth it to get a $20 guide for YS Falls (7 tiers of cascading waterfalls southwest of Montego Bay) – many say YS falls are even better than the famous Dunn’s River Falls. Be prepared for “Jamaica time” and expect things to take a little longer than at home! Be sure to catch a sunset on the beach – it’s spectacular! The dive shop can be overly cautious so be sure to bring your certification and log book to show them you know what you’re doing. The longer more experienced dive is at 9 am. Your luggage may take an hour or so to get to your room so you may want to carry a small bag with your essentials in it. Ask for premium alcohol by name if you want it, otherwise you’ll get bottom shelf. Don’t miss the beach barbeque on Thursday nights. Get your pool chair by 9 or 9:30 to ensure you get one (there are plenty of beach chairs). Be careful of the jellyfish– there is a nurse available to apply vinegar to stings. The spa is a bit pricey but worth it. If you’re set on a Beaches Jamaica resort then for the price Beaches Negril can’t be beat. It’s a fantastic family all inclusive resort and great for all inclusive destination weddings or group celebrations. This is not the resort for a romantic couples getaway - if that's what you're looking for you might want to check out our Couples Resort Jamaica page for a more romantic option. If you decide Jamaica isn't for you and you're looking for other all inclusive family resorts please take a look at the Iberostar Varadero on our Cuba resort reviews page. Save up to 65% by booking your Beaches Vacation here. See more great all inclusive family vacations here. Return from Beaches Jamaica to see more great Jamaica vacation packages.